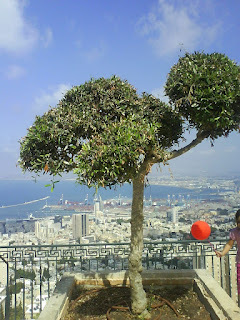 An olive tree with Haifa harbor in the background and my youngest playing around with her red balloon . Yesterday, we celebrated the birthdays of all the trees in Israel. Yes, in Israel, the Jewish date of Tu b’Shevat (the 15th of the month Shevat) is considered to be the New Year of trees. Trees do not get individual birthdays like humans – that would be a bit too much! 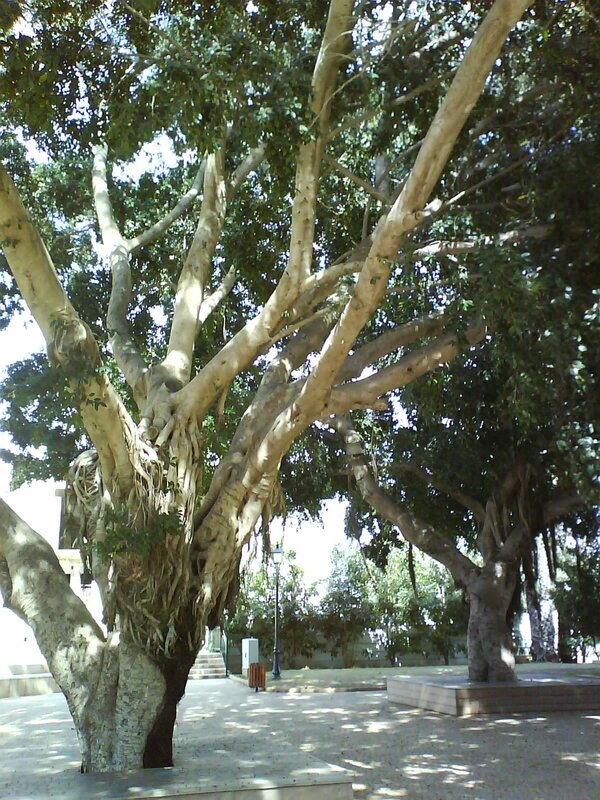 Instead all of the trees are considered to be one year older after Tu b’Shevat. This collective birthdate is usually described as the trees’ New Year. Why should one know how old a tree then? It is a totally Jewish thing. According to Jewish law, fruit can only be eaten from a tree in its’ fifth year. The fruit of the first three years are forbidden, and in later years various tithes (10% of the produce) have to be given. So it is necessary to know how old a tree is – especially fruit trees. How do you celebrate a tree’s birthday? By eating fruit of course! Usually dried fruit - Tu b’Shevat is in the winter and though some trees have started to blossom, fresh produce is not available. 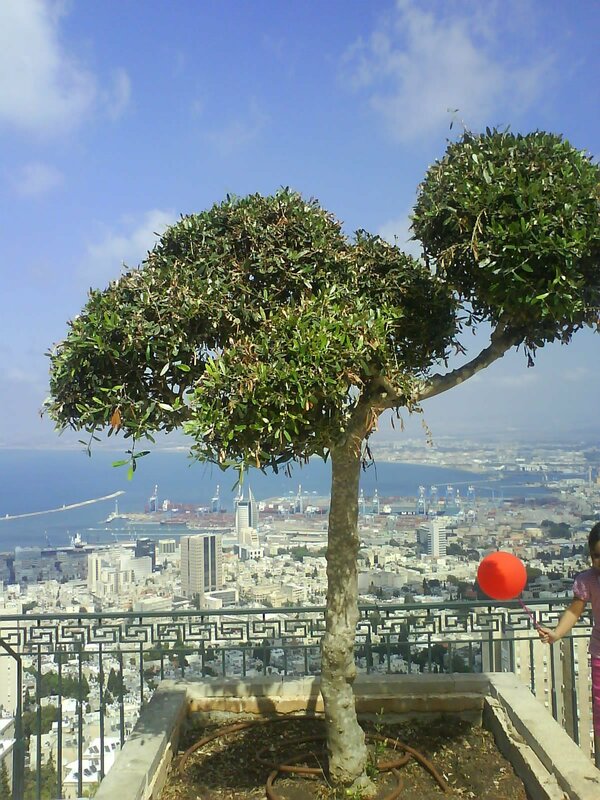 Secular Israelis have adopted Tu b’Shevat as Arbor Day and trees are planted in various ceremonies all over the country. You can read more about the tree planting activities and environmental programs at KKL – the government body in charge of forests here in Israel. And what did my kids and I do on Tu b’Shevat ? It is not a big holiday so the schools and work places did not close. My youngest had a Dried Fruit – party in her class and made art work with twigs and leaves. My eldest had a class trip to one of the parks in our town where they studied the various trees there. And in the afternoon I went for a little hike in a nearby forest. The trees did not offer me cake or anything but I still had a great time. They are so gracefully about getting old, happy about the heavy winter rains and already preparing themselves for spring. 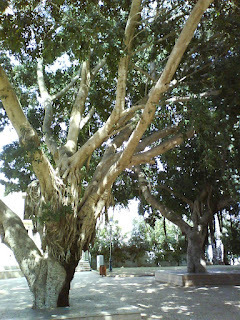 Two large ficus trees in a park near my house. They must be quite old - but I did not dare ask them their age! If you would like to receive more blog post in your inbox, fill in your e-mail address at the top on the right. I promise I will never-ever spam you.